It has to look good with shorts shorts, tights and I should be able to wear it with a pair of jeans to go out shopping at the mall. It has to add a spring to my step, concrete is hard the amount of energy I put into my stride. I need to get some of it back. Knit is in and I am here for it. Also sock feel is the only feel. Vivid, chromatic, kaleidoscopic, find a synonym and add it to this list. There's a reason why jeans are cuffed at the knee now. Its the same reason tights also clamp down at your knees. To show off the design of the shoe. The most eye catching design compliments the most striking colourway. Triple Black, volt and pink, black and ribbon red. Huey, striking running shoes are a staple. First, I took them out walking on the streets you know just to show them off let them get used to my pronating feet. Then we shuffled on the treadmill while virtually running a segment of the New York marathon. Then I reminded my body that its strong with a Saturday session at The Arena Bryanston and then I did hill repeats with the Braamfie Runners on a Thursday evening. 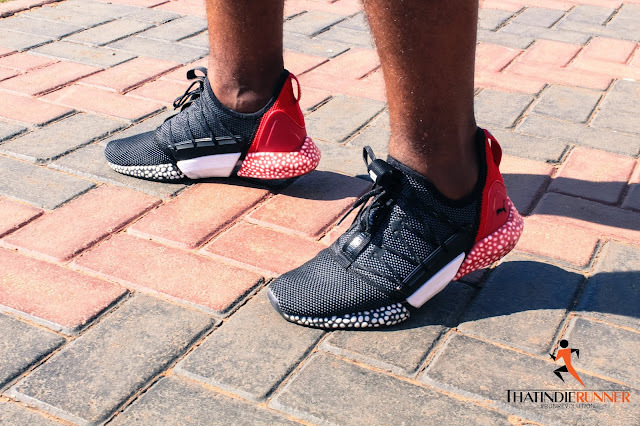 I took these Puma Hybrid Rockets on a whole fitness Journey right?! What I like about this shoe? - it's hot, it's fresh we can take it to the sneaker cypher and it would win. - Its sleek, the evoKnit upper feels like a sock. You can run without socks. 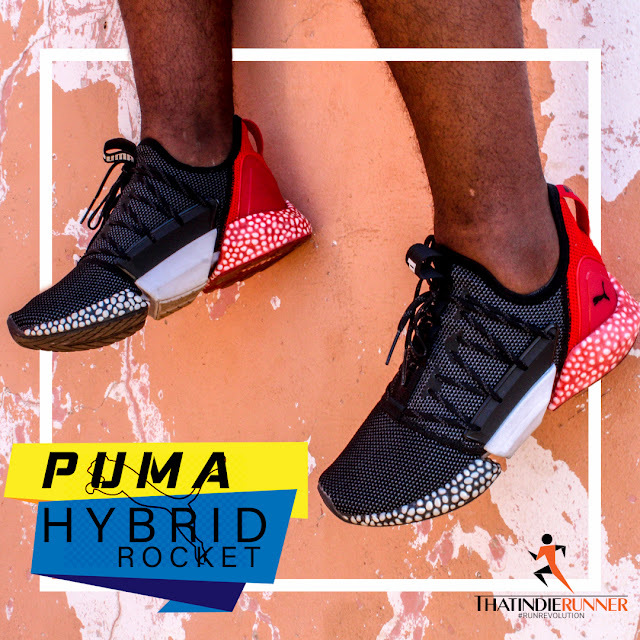 - The lacing system and heel pull tab, make putting on these babies a hassle free process and they lock in your foot to keep it secure. - There's a band round about where the laces start, which pinches you initially. You need to break these shoes in a bit longer than other shoes because they are so form fitting. 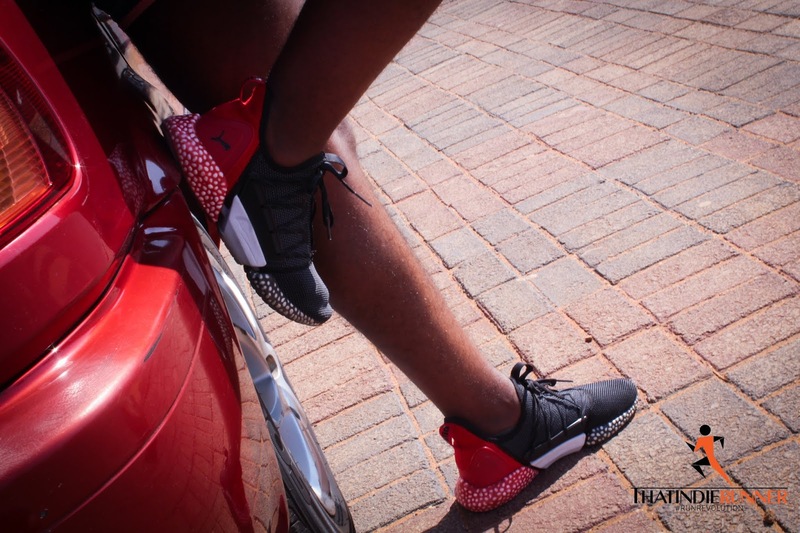 This shoe is currently on circulation, in fact I will be running the FNB 10KM Joburg city run on the 24th September in these shoes. Its more suited for shorter distances and the gym floor.